John Stafford was the son of Thomas and Mary Stafford. Thomas was born in Clonfeacle, County Tyrone about 1890. The 1901 census lists John as age 11 living with his family at house 4 in Culkeeran, Moy, Tyrone. His father was a farm labourer. John enlisted in Omagh with the 9th Battalion of the Royal Inniskilling Fusiliers. 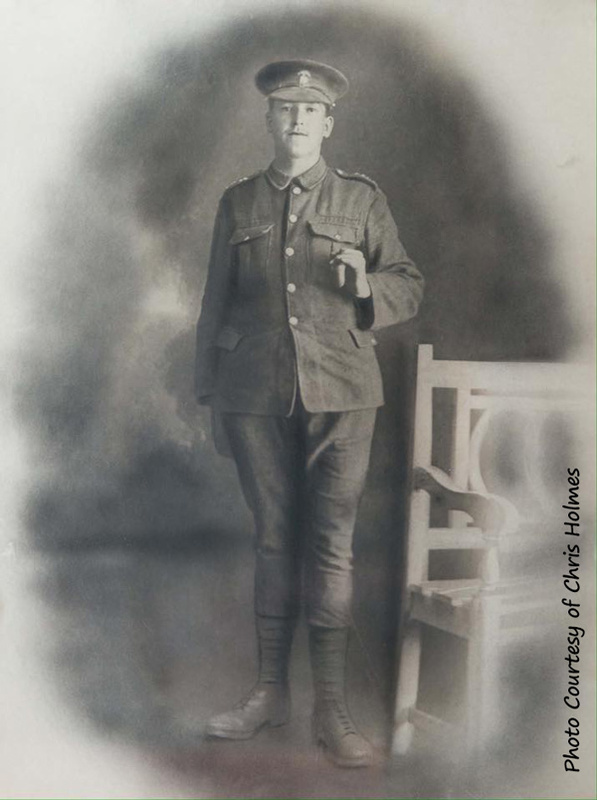 Private John Stafford was killed in action in Belgium on 21st November 1916. John Stafford was the son of Thomas and Mary Stafford. Thomas was born in Clonfeacle, County Tyrone about 1890. The 1901 census lists John as age 11 living with his family at house 4 in Culkeeran, Moy, Tyrone. Thomas Stafford was a farm labourer. It seems John's mother died and the family split up. His father remarried and started another family. A 1911 census listing suggests John was working on a farm in Benburb. John enlisted in Omagh with the 9th Battalion of the Royal Inniskilling Fusiliers. He volunteered from the ranks of the U.V.F. 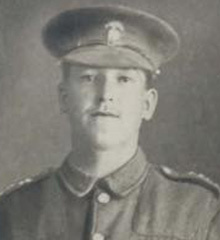 Private John Stafford was killed in action in Belgium on 21st November 1916. He was 26 years old. Mr Thomas Stafford, of Broughadoey, has received intimation that his son, Private John Stafford, Inniskilling Fusiliers, has been killed in action. Mr Thomas Stafford, of Broughadoey, Moy, has received intimation that his son, Private John Stafford, Royal Inniskilling Fusiliers, has been killed in action. He volunteered from the ranks of the U.V.F. 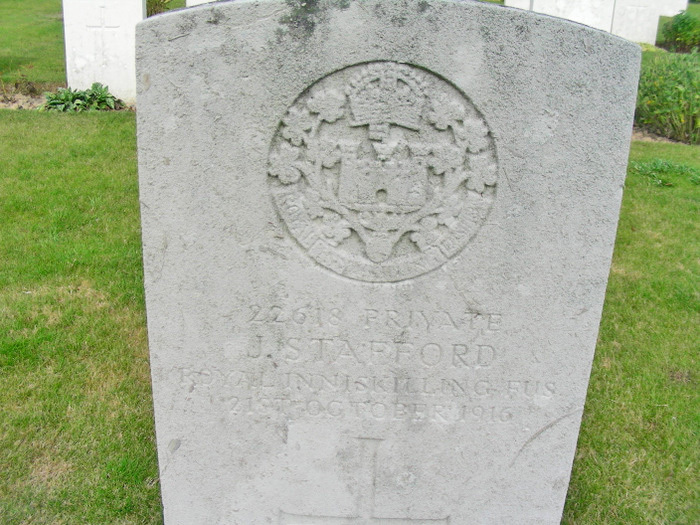 The CWGC records Private John Stafford as the son of Mr. T. Stafford, of Moy, County Tyrone. 2 1911 Census lists Stafford family Lists his father's NEW family.